The first step in deciding where to find a boarding stable for your horse is to decide what you need. Does your horse require stabling, or can it live out on pasture with a run-in shelter? Does it need any special care or feeding? And what do you need to enjoy your horse: Would you like access to trails, rings for flat work, equipment for jumping or gaming? Do all horses appear healthy and content? Is there adequate space for them to co-exist without bickering? Is the hay and feed top quality? Are clean water and salt available at all times? Is there a routine schedule of feeding and turnout? All stalls, fences, windows and doors, walls and ceilings should be free of safety hazards. Fences should be sturdy, horse safe and in good repair. There should be fire extinguishers, a phone, a first aid kit for both humans and horses and other emergency equipment on hand. Look for things like clean stalls, neat aisleways, clean troughs and buckets filled with fresh water. The barn should smell relatively fresh, not like manure or ammonia. The barn should be bright and airy but free from drafts (although this will be difficult to tell in warmer months). For many of us, this is the biggest factor in choosing a stable. Boarding fees reflect where the stable is and what the stable has to offer. You have to decide what you can afford. If you ride English, you may feel out of place if all the others in the barn ride Western. Or a barrel racer may not feel comfortable or have the facilities available for their discipline in a jumper barn. If you love trail riding, you probably won't be happy with a dressage barn. There are some stables that do have boarders with a wide range of interests. Boarders who are interested in different disciplines can co-exist with one another as long as everyone stays open-minded and focused on learning and having fun. You might want to consider the training methods you see used in a stable. If you use natural horsemanship methods and like to work your horse in a round pen, you might not feel comfortable working around those who believe strictly in classical methods. Some stables offer many different services. Some boarding contracts will include riding lessons. If not, find out if you can have your own coach or trainer in if you choose to. Extras like blanketing and special feeds may or may not be available. Some stables schedule routine care like blacksmiths, immunizations, and​ deworming programs. These services will probably be an additional cost beyond your monthly board fee. 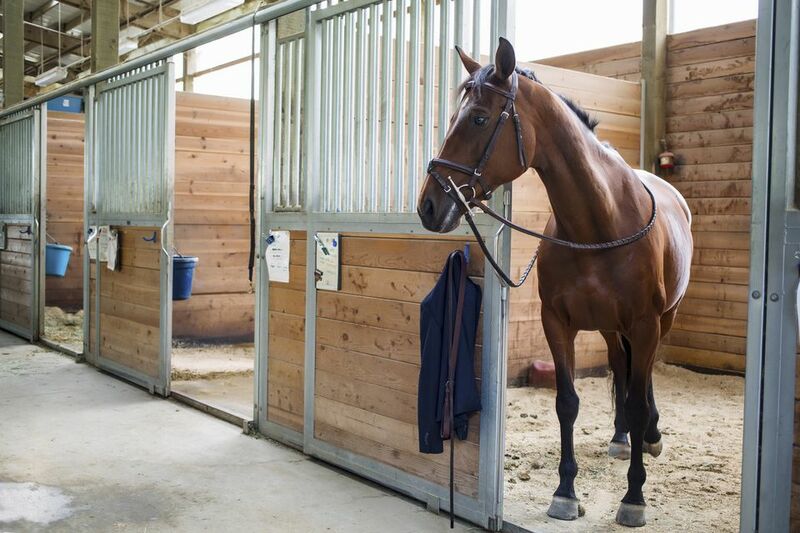 A smaller, less busy stable may suit someone who likes quiet, alone time with their horse. Bigger stables can be busier, which can be a plus for those who like to socialize and ride with others. Check the hours the stable is open. Can you ride late at night or early in the morning? Is the arena available only at certain times? If you have Monday off and it's your only day to ride, a stable that is closed to boarders on Monday isn't going to work for you. You should read the boarding contract and decide if it is fair and understandable. Don’t sign it unless you understand it and are able to live by it. You should talk to other boarders to get a sense of the overall environment of the barn. It is also fair to ask for references from the owner or manager.